In 2015, 32,476 asylum seekers arrived in Finland, most of them from Iraq. What happened to them and where did they go? How did they experience the waiting period? What can be expected of them regarding their position in Finnish society and the labor market? A new study addresses some of those questions. The unprecedented number of forced migrants looking for peace and starting a new life within the European Union was also noted in Finland, as more asylum seekers than ever entered the country in autumn of 2015. Consequently, a qualitative research project with the purpose of gaining more information about the phenomenon was started in the City of Helsinki Urban Facts, at the initiative of researchers Anu Yijälä and Maria Nyman, and finalized with funding from the Academy of Finland (project no 303536). Since one nationality was over-represented when it comes to the asylum requests registered in Finland, asylum seekers from an Iraqi background were chosen as the target group of the study. More precisely, the study was about the factors potentially relevant for a successful integration process of the potential newcomers to Finnish society, while taking into account the difficult background situation in their previous homeland. This article addresses some of the main results of this study, which focused on a privileged group of skilled, English-speaking Iraqi asylum seekers, who could be expected to have a head start regarding integration into Finnish society and the labor market. The data was gathered through twenty-two interviews and by ethnographic observations. During the time of the interviews, the participants were waiting for the decision about their asylum application. All of them were registered at reception centers in Helsinki and Turku, but half of them were living in private accommodation. According to the results of the study, while waiting for the decision that will have a huge impact on the rest of their lives, the asylum seekers find themselves in a tough, limbo-like stage of their migration process: On one hand, the difficult experiences in Iraq and the arduous trip have left their mark on those who managed to escape. On the other hand, being in a new country without knowing whether or not they can stay, poses severe challenges to their psychological well-being and integration process. The participants of the study reported that living at the reception centers without much to do was a tough situation to handle, and having just about anything to do in order to stop thinking about the past was preferred. On top of that, receiving reception allowance without giving anything in return was found to have negative effects on the self-esteem of the participants. Controversially, asylum seekers who have arrived with a valid travel document are not allowed to work during the first 3 months. For the so-called denizen asylum seekers traveling without documents, that period is 6 months after arrival in Finland. According to the results of the study, even after this time has passed - regardless of the strong motivation of the participants to find work - getting employed is not a totally unambiguous issue; with so much to deal with, many of the participants did not yet seem to be ready to meet the requirements of the Finnish labor market. For example, providing some kind of low-barrier internships or even temporary work contracts was preferred over killing time. The results of the study show that the participants did, at least partly, choose Finland based on a sense of shared values, such as freedom of thought and expression. Notably, this kind of value congruence has also previously been shown to promote a successful integration process among immigrants. However, although the participants expressed supporting equality, the rooted, socially constructed and often sub-conscious beliefs of inequality between genders was identified as a possible challenge regarding future integration of the participants. Hence, in order to be ready to smoothly navigate in a new culture and start working, preparatory training regarding the Finnish working culture, education on everyday practicalities, and cultural habits in general, as well as support in handling traumatic experiences from the past are clearly needed. Moreover, the recent restrictions regarding family reunification in Finland present a threat to the integration of those about to gain residence in Finland. In addition, half of the participants also reported having discriminatory experiences in Finland, often as a consequence of negative media attention. This poses yet another challenge for integration, as the attitudes and the readiness of the society as a whole to receive and support the newcomers play a huge role in their integration in a new country and play a crucial role in the prevention of extremist behavior. Regardless of the challenges presented above, the participants of the study had a positive attitude towards their much desired future in Finland. 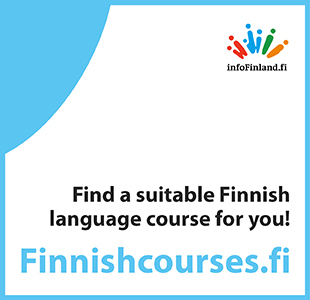 According to the results, in general, the participants rarely expected to meet other kind of challenges in their adaptation to their possible new home country than learning the Finnish language; only a few participants seemed to expect that finding work would be challenging. Following religious rules at work was generally not considered important and, in fact, after decades of religious and political conflicts and war in Iraq, the restricted influence of religion in Finnish society was perceived as liberating and welcomed in every way. All-in-all, the results of the study highlight the importance of the interplay between the representatives of Finnish and Iraqi cultures: the results revealed high motivation of the participants to adapt to Finnish society and culture, strengthened by the observation that contacts with Finns were very much sought after, and those Iraqis who had succeeded in establishing them, reported feeling better in several ways. Regardless of some sporadic negative experiences of inter-group contact, the participants of the study had a very positive image of Finns and highly appreciated the support received from them during the challenging waiting period that they were in during the time of the study. Importantly, their desire to be a part of the Finnish society, of living in peace, getting employed, and raising a family, do not differ from the most common future plans of Finns themselves.